Anne Krebiehl is an engaging wine educator and writer with an ability to enthuse both consumers and staff about wine. Her work has been published in The World of Fine Wine, Decanter, Imbibe, The Drinks Business, Harpers Wine & Spirit, Vinum, Fine, Weinwelt and the London Evening Standard. 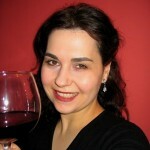 She is the contributing editor for Alsace, Austria and England for the US Wine Enthusiast. She also works as a wine consultant for London restaurants, as a translator, is a panel chair for the International Wine Challenge and judges at international wine competitions. She holds the WSET Diploma and was admitted to the Institute of Masters of Wine in 2014, winning the prizes for best dissertation and best viticultural paper. She also is a member of the Circle of Wine Writers. She has harvested and helped to make wine in New Zealand, Germany and Italy. When not writing, studying or travelling, she can be found in the kitchen, the garden or in some vineyard getting her hands dirty.